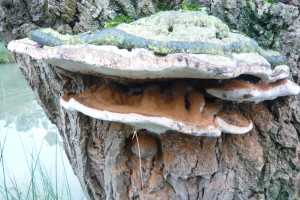 Observation - Big Bracket Fungus - UK and Ireland. Description: Think tree stump is a willow tree. Fungus more than 12 inches across. Think tree stump is a willow tree. Fungus more than 12 inches across.